Critical psychiatry: Is psychiatry our necessary shadow? 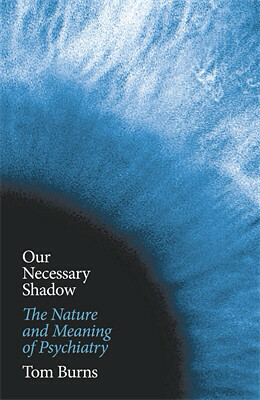 Tom Burns describes the harms and abuses carried out by psychiatrists as 'our NECESSARY shadow'?. Those who can accept that abuse and 'mistakes' carried out = not by psychiatry = but psychiatrists - are NECESSARY -have a very arrogant and potentially dangerous mind set, especially when they are in positions of power and influence over vulnerable people and next generations of practitioners.. It is actually astonishing that groups of otherwise ordinary people by dint of being encultured in one of the most harmful of professions can assume they have the right to hang labels on other human beings which are still extremely offensive, degrading, frightening, insulting and stigmatising and totally muddled ,and still claim they are in it to do good unto others. So many of the 'others' would rather he didn't. How much does Tom Burns acknowledge that love of power, the opportunity to 'treat' and experiment on others is part of the dehumanising 'rewards' inherent in a practice which imposes UN-necessary shadows over so many lives. How much research is being carried out to investigate how theories or which labels become flavour of the decade, how much infighting and group think influence practices, how certain individuals become dominant or how they develop followers who propagate their theories. It is notable that psychologists are becoming more open by holding public discussions while psychiatrists are still operating behind closed doors, whether those of increased compulsory detentions in psychiatric hospitals or exclusive members only meetings where further 'mistakes' will be generated, probably involving neuropsychology, without the possibility of checks on their enthusiasm for the new and so often described 'exciting' UN necessary mistakes. Tom Burns is just another indoctrinated fool who wasted his life in a profession that amounts to human rights abusing quackery. It's rubbish, Double, to expect a brainwashed fanatic to admit he spent his life doling out toxic drugs and stigmatizing quackery based DSM labels. If the average psychiatrist came to see the truth, that they were duped from day one in medical school, that they are human rights abusers, they'd probably have a breakdown themselves. The mental barriers that psychoquacks put up act is a levy to protect them from the floodwaters of truth. There remains only the human rights fight to take to these violent thugs, so that we can be legally protected from them destroying our lives 'involuntarily'. If it were not for the commitment laws, psychiatry would be about as worthy of paying attention to as osteopathy. I pay attention to this issue because these quacks are armed to the teeth with coercive powers that place my life in danger. Beyond understanding the enemy, they are a laughing stock of sad people who wasted their lives, wasted their medical education, when they could have just become real doctors instead of psychiatrists. My life may have been almost ruined by psychiatry and I may live at legal risk of psychiatry being forced on me, but I can hold my head up high and say I was never a fool who wasted my life practicing quackery and abusing the human rights of others. Tom Burns who describes himself as a professor of social psychiatry is part of the team who has set up a research project which gives a whole £15 to extremely vulnerable (and usually extremely poor) people - if they agree to 'adhere' to taking antipsychotic medication. Another big mistake Tom? Hopefully this scandalously unethical project will end soon after so many of his colleagues have categorically refused to participate or condone it. Yet presumably it has had ethics approval? Yes anon Tom Burns thinks being a psychiatrist gives him the right to abuse others' human rights by doing it in this coercive softly, softly manner. How many will tell him to shove his £15 I wonder when they don't know what the consequences of a refusal will be? This is clearly a man with issues... in his defence, at least by writing this book he has managed to get some of them off his chest.